When we introduced the M80 Vertigo ten years ago, we took a momentous step forward for the traveling musician and their guitar. 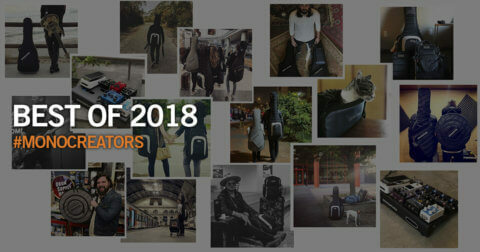 Where the Vertigo ensured the safeguard of your instruments through long-haul travels, we know that many urban musicians look for absolute mobility for shorter trips around their city. We are proud to present an evolution of MONO’s iconic M80 cases – the Stealth™. The first in the all-new series is the Stealth™ Electric Guitar Case. Ergonomically enhanced and aesthetically beautiful, the Stealth™ Electric is the gigging city musician’s dream case. The Stealth™ Electric comes complete with new and unique two-tone finish. Accompanying the water-resistant Sharkskin™ shell finish, it also sports a matt-finish polyurethane (PU) sheen to complete its minimal look. The Stealth™ Electric retains the award-winning Top-Loading™ design that encourages quick, stand-up access. Unzip the case, and pull your guitar out from the top – accessing your guitar is never an ordeal. 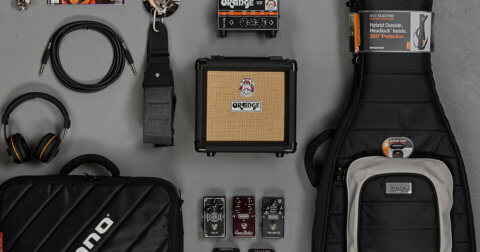 The Stealth™ Electric is lightweight without compromising on the protection and the storage of your guitar. The Stealth™ Electric maintains the essential Headlock™ neck suspension system, and is equipped with internal EVA padding for your guitar to rest its weight on. The Stealth™ Electric comes with a range of new design features, built specifically with you in mind. Fidlock’s quick-release chest-strap buckle ditches the traditional buckling mechanic for a magnetic one, giving speed and grace. The mesh padding is an element we retained from the FlyBy. Not only does the padding sit comfortably against your back when you’re wearing the Stealth™ Electric, the channel through the middle of the paddings allows air to circulate and keep you cool. The new and improved ergonomic shoulder straps spread the weight for greater comfort. Added to the Stealth™ Electric is the new military-grade string guard, angled to cushion your guitar’s strings against the case’s interior for added durability. There are no visible front pockets, but there are still plenty of storage options. In line with its name, the pockets lined on the side of the case are super stealthy. You get a pocket for your laptop, and two hidden pockets for your valuables within easy reach, even when you’re on the go. 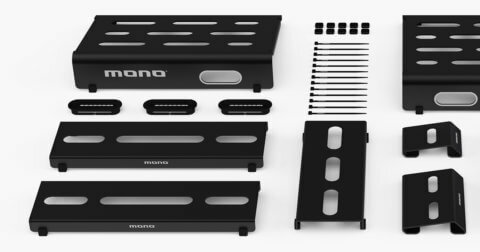 MONO uses only high-test military-grade materials that come equipped with extreme resistance to abrasion and the elements, protecting your treasured possessions on the move, rain or shine. A Hypalon base immediately preserves the Stealth™ Electric against rough surfaces when loading and unloading your guitar. 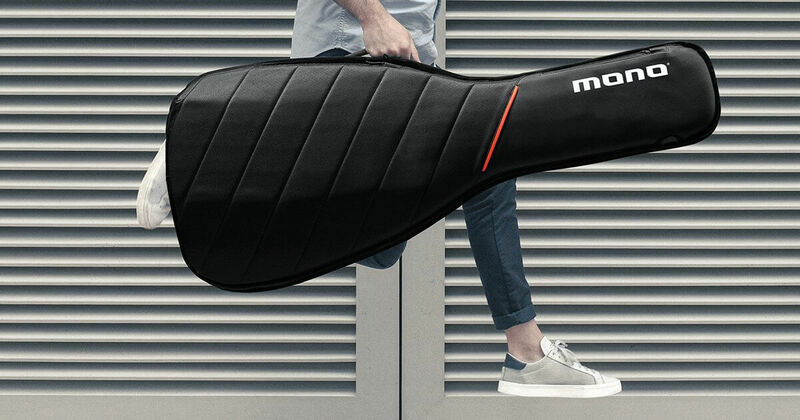 Your guitar also rests its weight on an interior EVA padding, further complementing the M80’s Top-Loading™ design. 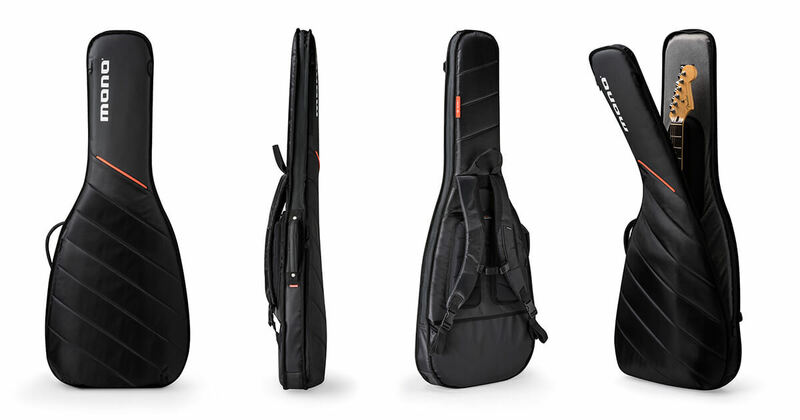 The release of the Stealth™ series marks a sleek and stylish option to the M80 range, and sets a new standard for urban-ready instrument cases. The first case off the ranks is the Stealth™ Electric Guitar Case. The Stealth™ Acoustic, Bass, and Hollow Body Cases, all with streamlined profile and comfort-focused design, will be released later this year. The Stealth™ Electric will retail for $199.00 and will be available early 2018 through our online store here, and through premier dealers worldwide. Want to be the first few to get your hands on the Stealth™ Electric? Enter your email address below, and we’ll get in touch with you as soon as it releases.